Hi folks! Here’s a few fun facts about Phoenix, Arizona: it is most populated capital city in the entire USA (1.6m Phoenicians reside there!). It has more days per year where the temperature exceeds 100 degrees than any other capital city in the USA, which means any Airbnbs you go for need to have air con or it’s gonna be a terrible, sweaty trip! It is also home to one of the largest national parks in the county; South Mountain Park, which in turn is home to the Chuckwalla, an adorable species of lizard. 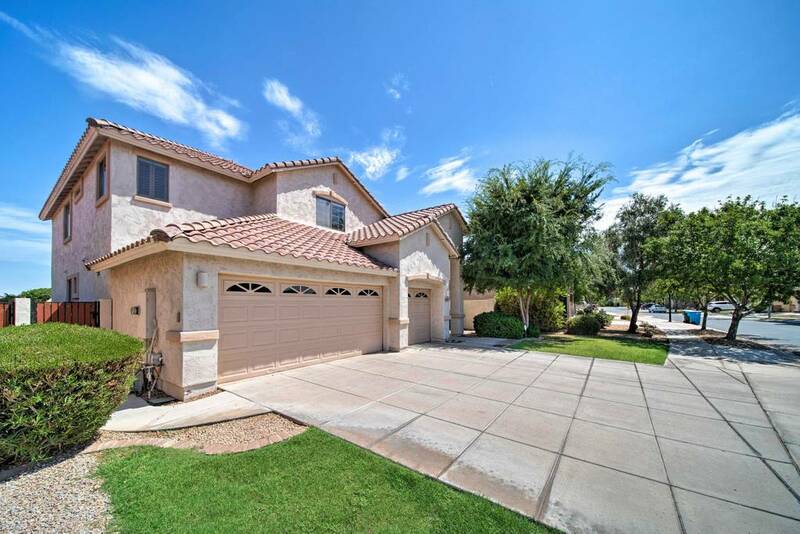 The areas around South Mountain has become and increasingly popular area to live and many estates, homes and subdivisions have popped up in the area in recent years. Situated in a safe and quiet home in a neighborhood and surrounded by lush and mature trees, this 4 bedroom 3 bathroom Airbnb home enjoys stunning views of South Mountain Park, Phoenix. The home features modern decor and a private saltwater pool with no harsh chemical for guests to enjoy. Its a great place to relax after a days hiking in the park. The neighborhood is one of diverse architecture and there are equestrian trails right behind this 3600 sq ft property. See the horses go by right from your window or treat yourself to riding lessons. $168 per night. Relax and perfect your golf game on the professional putting green that’s available at this Airbnb South Mountain home in Phoenix. When you tire of practicing your swing take a dip and relax in the sparkling, heated swimming pool that is available for your private use. This 5 bedroom property has all the modern amenities you could need, and can sleep up 10 guests comfortably. The home is located in a quiet area just 20 minutes from the airport, and is close to some of the best hiking, biking, horse riding and nature trails in the area. $275 per night. 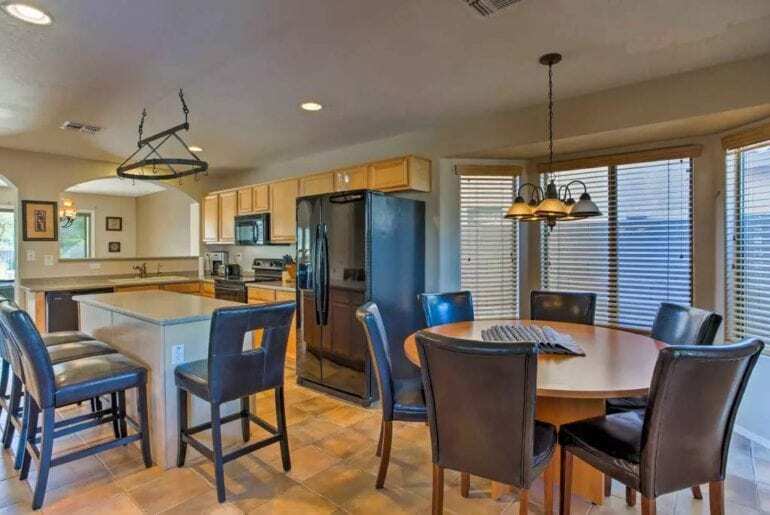 If the outdoor life is your thing, go hiking or horse riding from this fantastic desert home. 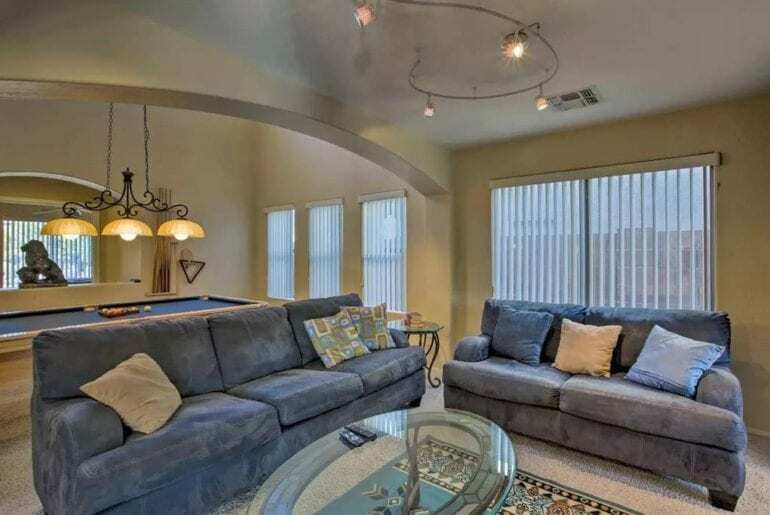 This is a large and extremely comfortable property from Airbnb in South Mountain Phoenix. The home has 3 bedrooms and 2 bathrooms and features stunning mountain views. The property has many amenities to make your stay comfortable and can it easily accommodate up to 10 guests. Located just a short distance from downtown Phoenix this is great base from which to explore the city. After exploring all day fire up the propane BBQ and enjoy eating dinner al fresco in the beautiful garden. Close to hiking, biking and equestrian trails. 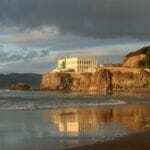 $275 per night. Be right near the Angels training stadium, golfing and more! This is a newly refurbished property with a fresh look. This lovely 3 bedroom home is located in a quiet and private gated community. Relax and enjoy the views from your own private patio just off the master bedroom. The propety is located close to the popular South Mountain park and is just a short distance away from downtown this Phoenix. This home has everything you could need to make your stay comfortable. Enjoy peace and privacy and your own garden tub. For your security there is electronic gated access to this desirable community. $275 per night. This is a beautifully furnished property that has been complemented with pieces of stunning modern art. 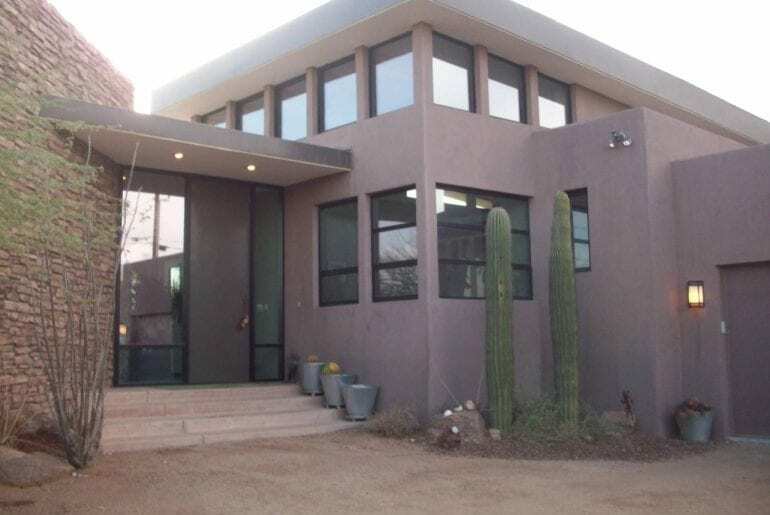 This home has been designed by a well known architect that is from the South Mountain area. 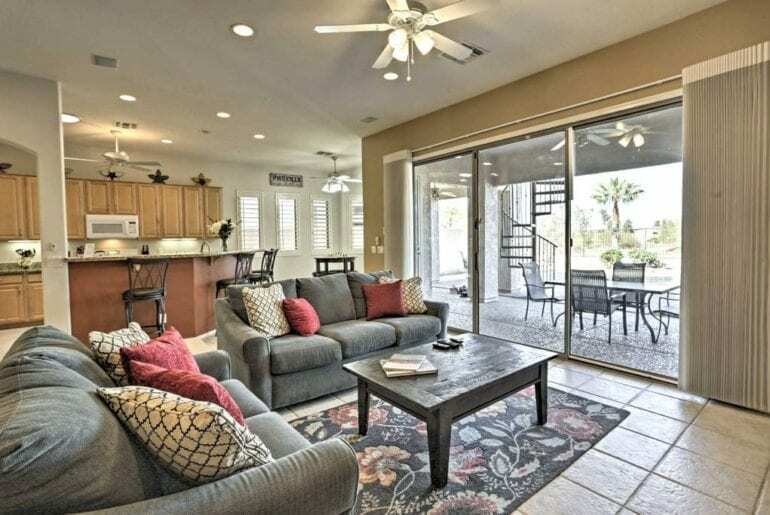 This Airbnb Phoenix property is modern and appealing and has all the amenities you will need. It has 4 bedrooms and open layout making it spacious enough for 9 guests to enjoy making it perfect for larger groups or families. The large windows offer fantastic long ranging mountain and desert views in every direction. This is how to do Phoenix in style! $400 per night. 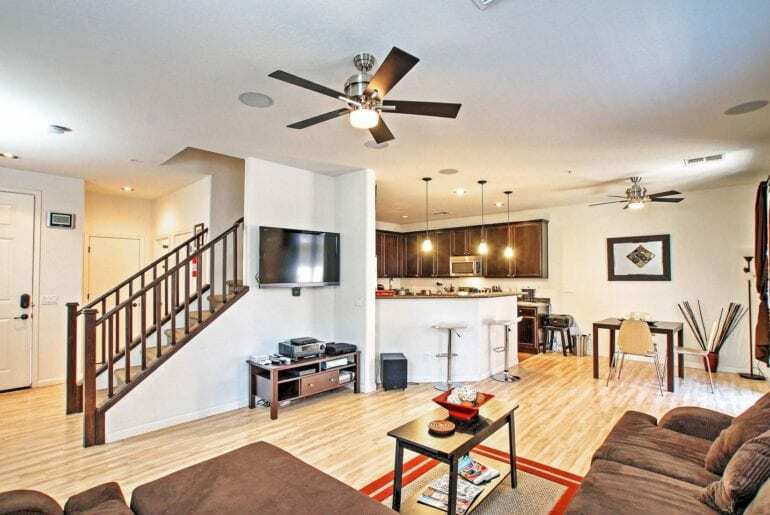 Just 10 minutes to downtown Phoenix with all the amenities you could imagine! Stay in style and comfort at this modern 4 bedroom 3 bathroom home is located on the Legacy Golf Course. Practice your swing and play a round of golf with friends or strangers alike. This property features a beautiful backyard with pool and lounging area where you can relax after a days hiking or exploring. This contemporary property is built in a mid century modern meets south west contemporary style and has a sparkling private pool for you to swim and relax in. The home is just a short drive in to Phoenix with all of its shopping, fine dining, and the aquarium. $225 per night. 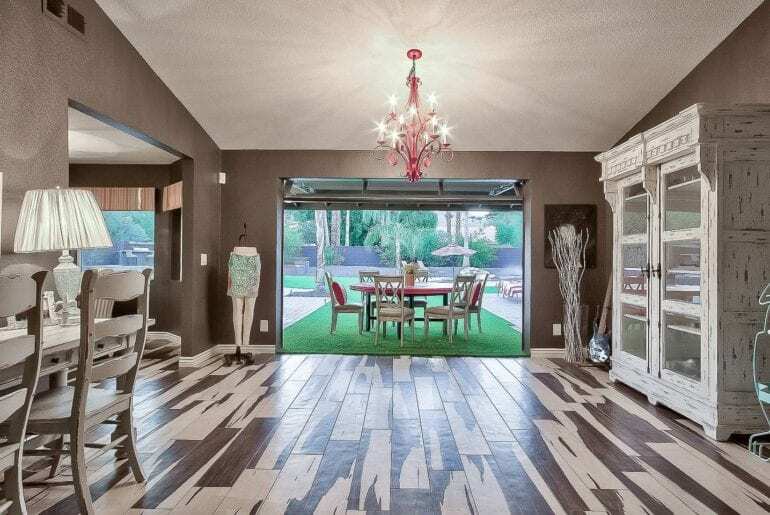 This home has everything you could want for your Phoenix stay. Enjoy unwinding in the private hot tub, relax in the spa or sit by the fire pit. There is even a saltwater pool for you swim and relax. The property is located in a peaceful and private gated community of South Mountain Phoenix. This Airbnb home is also right beside the Legacy Golf Course where you can practice your game. It has spacious living areas and 4 bedrooms that can comfortably accommodate up to 8 guests. Features a private backyard with a rooftop viewing deck for breathtaking views of the mountains and desert. $259 per night. This is a fantastic townhome in a desirable community on the outskirts of Phoenix. 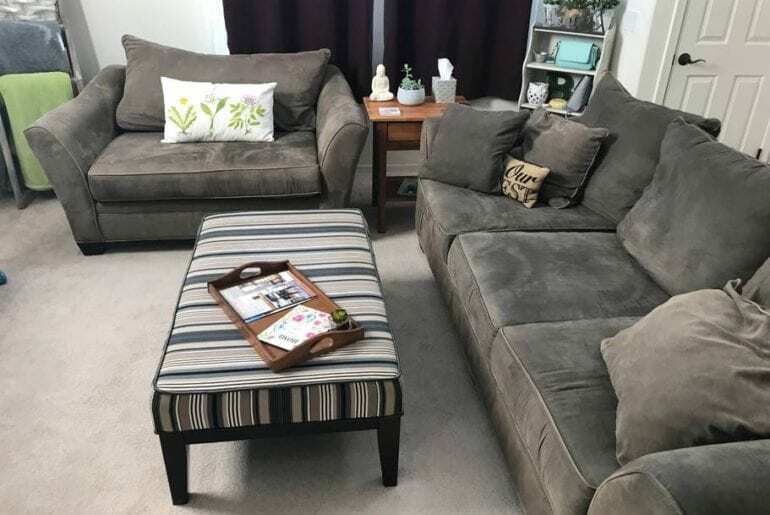 This Airbnb property is close to South Mountain park, downtown, and golf and is a fantastic location from which to explore. Get your golf game on with friends or colleagues. The home has 3 bedrooms, 3 bathrooms and is tastefully decorated in a modern style with upscale facilities for your comfort. It also has a beautiful private pool and patio area where you can relax. A community hot tub is available for you and your guests to enjoy throughout your stay. $283 per night.